Knowing what to expect can reduce anxiety. Take a look at the new school’s website together with your child. View pictures of the students, teachers and classrooms, see the activities and sports that are available, and try to get an idea of the school culture. Your child might start to look forward to joining a new club or get excited that the cafeteria has Taco Tuesdays. While it’s entirely normal for a child to be nervous about changing schools, focusing on the positive things to come, rather than what they are leaving behind, can ease the transition. Not all schools follow the same curricula. This can leave new students struggling to find their place academically. Prior to moving, find out what curricula the new school is following for all the major subjects. To avoid educational gaps, obtain reading materials or workbooks that can help your child get on the same page with his or her future classmates. To address the issues related to educational inconsistencies, including mandated testing, graduation requirements, and kindergarten entrance ages, the Military Interstate Children’s Compact Commission (MIC3) was established. The goal of the Compact, according to its website, is to “replace the widely varying policies affecting transitioning military students…It uses a comprehensive approach that provides a consistent policy in every school district and in every state that chooses to join.” Visit the website to learn more about the MIC3 or download this helpful Parent Guide. 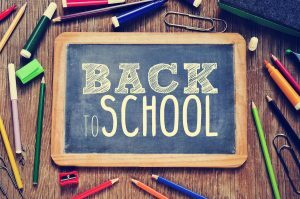 If you are moving during the summer, use the time before school starts to help your child meet some of his or her future schoolmates. Sign your child up for activities offered through the MWR or your community. Whether it’s a sports team, theatre group, yearbook club, or something else, encourage your child to get involved in an extracurricular activity. It doesn’t matter if it is a school-sponsored activity or one run by your installation’s MWR. The goal is to foster friendships. Adjusting to a new school is difficult enough; falling behind in class can make it even more so. If your child is struggling, consider getting them a tutor. Look for a tutor locally, or use Tutor.com, a program funded by the U.S. Department of Defense and Coast Guard Mutual Assistance that provides free one-on-one online tutoring to military children in grades K-12. Learn more about free homework help and test prep for military kids. Research resources at your base designed to help your child adjust to – and excel at – their new school. Contact your installation’s DoD School Liaison Officer (SLO). SLOs partner with schools to provide education support information and solutions education-related problems. There are many online resources available to help parents support their children during the school transition. Check out the Military Child Education Coalition, the National Military Family Association, and SchoolQuest, to name a few. The more you know, the more you can advocate for your child. Military children face challenges that are unique to military life, and some children may need additional support to help get them through stressful times, such as a change in schools. Always acknowledge your child feelings. If your child is showing chronic signs of depression, anxiety, or anger, you may want to consider professional counseling. To find counseling services at your installation, visit Military Installations and select your installation and then “Child Development Centers” or “Youth Programs/Centers” in the drop-down menus. Military children are incredibly resilient, but having to completely uproot every few years is tough. These tips can lessen the impact of a PCS move and facilitate your child’s adjustment to a new school. Before you know it, your child will be hanging out with new friends, acing academics, and creating wonderful memories to take on their next journey.